Corebird, an open-source GTK+3 twitter app, has reached the 1.3 release with some new features and build system improvements. Besides building the software from source, you can install the latest release from third-party PPA, Ubuntu 16.04 and its derivatives are supported. Type in your password when it prompted and hit Enter. 2. If you have a previous release installed, just launch Software Updater and upgrade it after checking for updates. 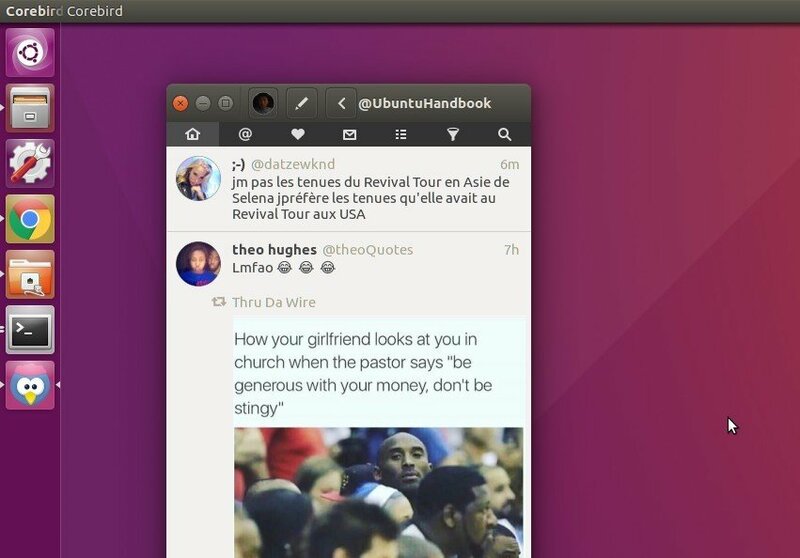 Seems that you’ve Ubuntu 14.04 or Linux Mint 17.x, sorry to say the 1.3 release requires GTK+ >=3.16, and Ubuntu 16.04 or Linux Mint 18 is required. Run sudo apt-get -f install command to fix broken packages issue, and remove the PPA via Software & Updater under Other Software tab.